Diamond Select Toys has announced the newest box set in its popular Marvel Cinematic Universe Minimates toy line, and it’s based on the upcoming live action film, Thor: Ragnarok! Thor 3 looks fantastic and The Blot can’t wait to see how Marvel brings World War Hulk to the big screen. 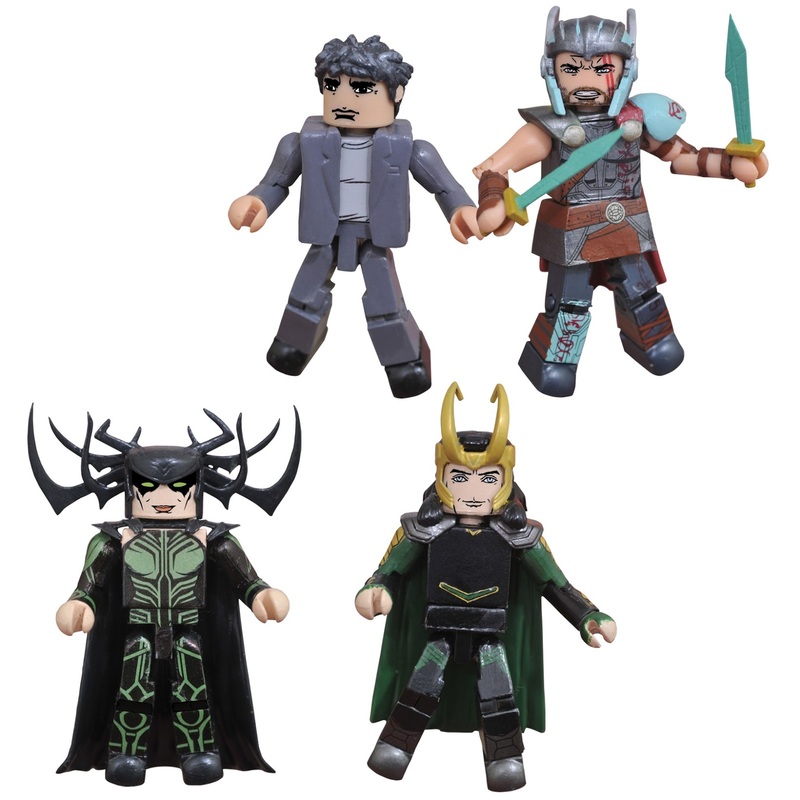 To celebrate the film’s release, DST is releasing this awesome Thor: Ragnarok Minimates Box Set that will include Gladiator Thor, Bruce Banner, villainess Hela and Asgardian Loki. The Thor: Ragnarok Marvel Minimates Box Set includes four 2” mini figures featuring 14 points of articulation and a variety of interchangeable parts and accessories. Fans can pre-order this movie accurate set now at Entertainment Earth for $19.99 here.